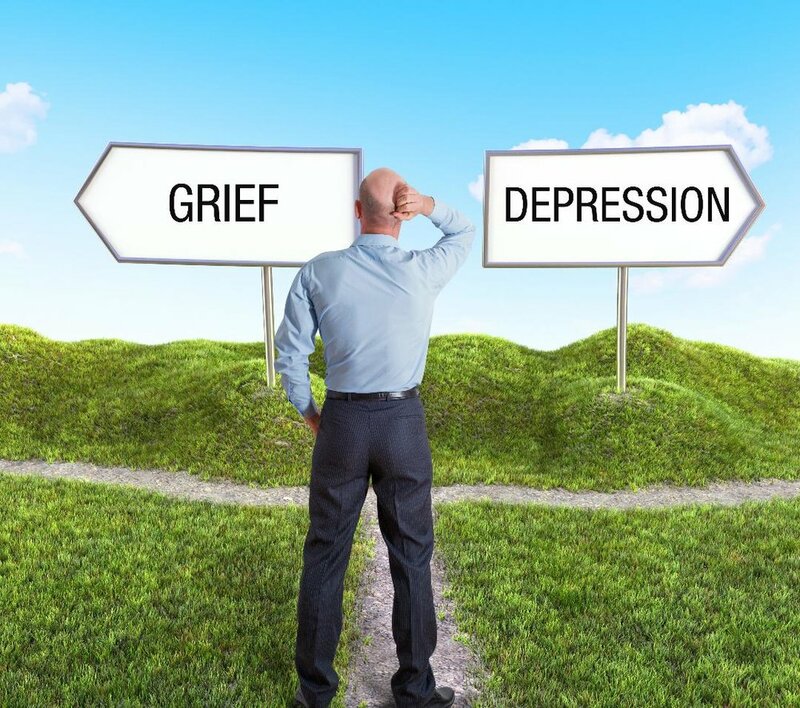 Where Do Depression and Grief Overlap? When you’ve had a loss, sadness and a whole host of other emotions such as guilt, shock, anger, and depression are all normal parts of the process. Sometimes people get stuck in one or more of these stages of grief. A lot of people who don’t otherwise get help for their grief experience wind up developing depression. One of the famous founders of modern psychology my brother, who is a trained psychoanalyst, likes to quote has said that all depression can be traced to a loss that hasn’t been fully grieved. I have found this to be true time after time with the clients I work with. For every one of them that’s depressed, there is almost always some loss back in their earlier life that never got fully processed. If one of more of these go on long enough, people can wind up with full-blown depression. The symptoms for depression can be similar to those listed above, but they can go with more severe symptoms, like thoughts of suicide or feelings of wanting to die. Isolation becomes more ingrained for a lot of people as well. When they have gone on long enough, it becomes a matter for professional help. Grief usually lasts for about 6 months to a year, and people can have suicidal thoughts due to the grief process, but getting help is essential if these are part of the mix for you. Reaching out to others and talking to them can seem like a monumental task if you’ve had a major loss, but talking to someone you trust can be the best way to figure out which way to go. Once you’re past the intersection, having a trusted friend or family member give you supportive feedback can be essential. If you do develop full-blown depression, you especially need professional help. Professional help can be part of getting you through the grief, but it’s not necessary for everybody. When you’re at the crossroads of depression and grief, you talk to someone if you haven’t already done so. They say “I think you need to get professional help.” After you’ve spent some time thinking or outright telling them they don’t know what they’re talking about and that they don’t understand your unique situation, you might work up the courage to pick up the phone or do an internet search. Then you’re at the point of having another important person on your side to walk with you. It’s like you’re crossing the intersection and to avoid getting run over by depression, you go with someone like me. I have helped well over a hundred individuals successfully overcome the effects of grief in their lives, as well as depression related to it, to regain a degree of functioning and normalcy that allows them to get on with their lives without being hindered by depression. You may never be the same after your loss, but you can definitely get back on track to live the rest of your life without being pulled down by either the loss or mental illness related to it. I am available either for a free 15-minute phone consult or you can email me at scott@scottkampschaeferlcsw.com. If you sign up for my email list below, I will also send you a free guided meditation that can help in processing emotional pain related to your loss. Waiting to ask for help can be the difference between turning a corner and continuing to suffer from unresolved grief. I encourage you to get the help you need, regardless of whether I’m part of that solution or not.